An announcement comes a little too early, but fans are still ready. Tonight marks the Dragon Ball FighterZ World Tour Finals, with high-level competitors from around the world competing to see who's the strongest. We expected some announcements about the second FighterZ Pass, seeing which new characters at coming to the roster. It seems those reveals came a bit too early, with the trailer going up ahead of time before being taken down. Nothing is ever gone on the internet though, so trailer mirrors have appeared (see below). 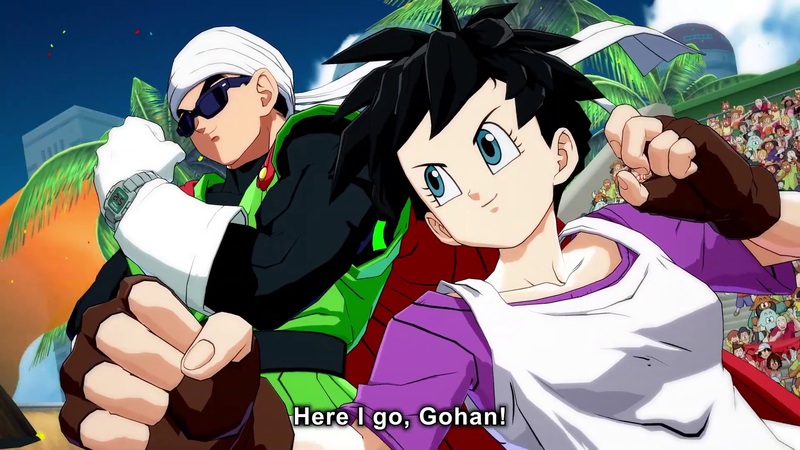 The first two fighters coming FighterZ Pass 2 are Jiren from Dragon Ball Super and Videl from Dragon Ball Z. Videl looks to be a paired character, with Gohan's superhero alter ego Great Saiyaman backing her up. Both characters are launching when FighterZ Pass 2 goes live on January 31, 2019. FighterZ Pass 2 will have a total of six additional characters, with the next two characters shown at the end of this trailer. Fresh from the theatrical release Dragon Ball Super: Broly, this new canon iteration of Broly is joining the roster. He'll be joined by Gogeta, the Fusion Dance version of Goku and Vegeta, this time in their Super Saiyan God Super Saiyan form. We're still Saiyan-heavy, with another version of Goku or Vegeta coming for this FighterZ Pass already, but at least Jiren and Videl represent more interesting additions. Hopefully, the last two characters in this season pass will continue to move away from the Saiyan side of the Dragon Ball. Tagged with Bandai Namco Entertainment,	Fighting,	News,	PC,	PlayStation 4,	Xbox One.